Yesterday, I posted a rundown of some of my top Champagnes to pop to celebrate New Year's Eve. Now, some virtual bubbly. Click this link to check out and download the Moble Toast iPhone app from Champagne Nicolas Feuillatte. 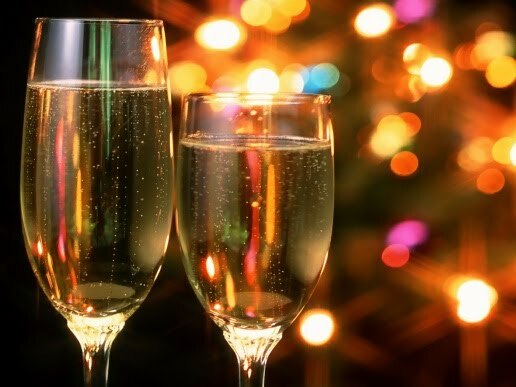 There's some very good information on Champagne, food pairing, and more that comes along with it, and it's a great use of technology to ring in the new year. Wishing you a wonderful 2011! There’s real truth in advertising here: The deep, opaque purple is the first thing you notice, a shimmering, glass-staining color remarkable in its own right. It smells like classic carmenère with an added dose of intensity: Concentrated spiced plums and dark cherries are balanced out by notes of grilled green pepper, spice, blackberry, black cherry, cigar tobacco, and a touch of eucalyptus. For all the richness and palate-coating texture of the wine, it’s an almost salty quality to the attack that first jumps out, a mineral spine that runs throughout this otherwise black cherry- and cherry liqueur-expressive wine. With air, the fruit turns sweeter and more dominant, making this much more approachable right now than it implies right out of the bottle. This is one for the cellar, and with time, the oak, beautifully concentrated fruit, and spice and licorice notes will integrate to create a wine of even greater complexity. Drink 3 - 7 years. 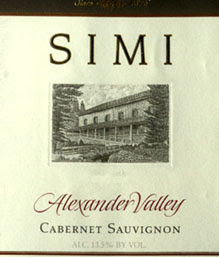 92% carmenère, 8% petit verdot. On the nose, this reminds me of a particularly nice brunch: Toast and blackberry compote and bacon that, for all its depth, remains fresh and bright. The palate shows loads of sweet blackberry fruit, with a ripeness that stays focused and balanced. There’s also licorice and hints of star anise here as well, and this follows through to the finish where it’s joined by cocoa powder and black cherry liqueur with more black licorice and a touch of mesquite. Very well-made, generous and large in scale, yet still focused. Solid potential for short- to medium-term aging, but with this expressive fruit, I’d have a hard time resisting it sooner. Drink now - 5 years. Darker color, but still not quite opaque. 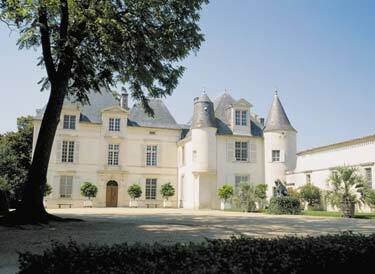 More subtle nose here, with garrigue flashing through here and there between the cherry fruit. There’s also a creamy note here that softens it up at the edges, almost like a nice bacon cream with a hint of sweetness. Again, very sweet fruit here, and the oak is a bit more apparent, with cinnamon and clove spicing it up, as well as Chinese five spice, cigar tobacco, cocoa powder, and hazelnuts. Dusty tannins and oak character that still need to be integrated more fully imply a long-lived wine, 5 - 12 years at least, but again, with the fruit here, it’ll be tough to resist for that long. Buy several and see what promises to be an excellent, interesting evolution. 94% syrah, 4% grenache, 2% mourvedre. Very attractive laser-point bubbles and a nose that speaks of toast with butter and lemon crème fraîche lead to a palate that sings with bright acidity and excellent concentration, as well as spun sugar, candied lemon, and bright minerality. Its yeast notes really come through on the finish, which itself is tinged with that lemony acidity of the mid-palate. This is a beautiful example of what California sparkling wine is capable of: Intensity, vinosity, and a promise of further evolution. Drink over the next 2 - 4 years, but it’s delicious right now. Very subtle, unexpectedly transparent nose here that whispers of mushroom and raspberry and a bit of toasted brioche. 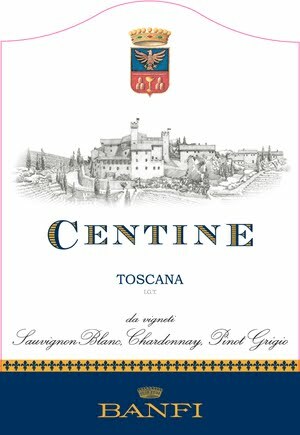 The palate is creamy despite its bright acidity, and notes of concentrated raspberry, red cherry, and cream come through. This is all about subtlety and transparency, and it succeeds very well. Drink now, and definitely enjoy with food. The lightness and transparency of the honeyed amber color here is remarkable. On the nose, it’s gorgeously lifted, with spice and mushroom components that find their counterparts in a subtle florality, all of it carried along a rich, round layer of nougat: Amazing how this runs the gamut from masculine to feminine in just one whiff. This is astoundingly delicate on the palate, with spice and the barest intimation of red berry fruit darting in and out of the spotlight, and joined by orange, candied orange peel, brown sugar, aromatic spices, and flowers. This is a complex, seamless, endlessly evolving Colheita. The finish, all toffee and honey and dried apricot, goes on for a minute, and only slowly recedes first into even greater subtlety, then a whisper, then a beguiling memory of a remarkable wine. This Port is like a ballet dance of nuance--a sweet wine not defined by its sweetness--and shows that tawnies can be some of the most elegant wines in the world. Remarkable, and utterly delicious. Among non-vintage bottlings, the Nicolas Feuillatte Brut Rosé, as always, was a beautifully crafted wine with plenty of pastry crust, red berry fruit, and cream--perfect for starting off the night’s celebrations on the right foot. Ayala Brut Rosé Majeur, like the Feuillatte, delivered a lot of wine for relatively little money: The strawberry here is addictive. Ariston Fils Brut Rosé was a standout, its crystal-clear wild strawberry and raspberry character framed by an intense vinosity. Bruno Paillard Brut Rosé Première Cuvée, while a bit more money, was a winner: With deep, candied strawberry and cherry fruit, a note of warm brown sugar, and a long finish, it was great on its own and even better with food. Delamotte Brut Rosé showed a solidly integrated character that included mushrooms, flowers, and more aromatic truffles: Excellent. Charles Heidsieck Brut Rosé Réserve was round, lush, and structured, with a beam of minerality providing backbone. Pol Roger Brut Rosé was a taut, elegant expression of pinot noir. Vintage standouts included the Charles Gardet Rosé 2001, and exceptionally vinous wine whose maturity sang through with brown spice, leather, and truffles, and whose pinot noir character really came to the fore. The Gosset Célébris Brut Rosé 2003 was surprisingly--and charmingly--bright and structured given its vintage. Taitinger Comtes de Champagne Brut Rosé 2004, while still quite young and fruit-driven, demonstrated ample potential for development in coming years. Perrier-Jouët “Fleur de Champagne” Brut Rosé 2002, while expensive, was one of my wines of the tasting, a bright bubbly that reminded me of strawberry jam on whole wheat toast, and whose almost tannic structure promises a long life ahead. And the Charles Heidsieck Brut Rosé 1999, with its graphite and mushroom notes, is just now hitting its stride and utterly impossible to stop sipping. With New Years Eve dinner parties just a few days away, and menus and wine selections being finalized for the celebrations, this seems like the right time to discuss the issue of wine service--particularly, what kind of glass to pour your wine into and whether or not to decant the bottles you’ll be serving. Regarding the first issue, I strongly recommend reading the article linked up right here, posted just last week, by Jancis Robinson on the web site of the Financial Times. She recommends a number of specific glasses, though her most salient point seems to be that, contrary to popular belief, wine professionals don’t generally obsess over what kind of glass to serve wine in. As long as the glass provides ample room for swirling and breathing, is narrower at the rim than at the widest point of the bowl, is fairly thin, and provides enough room for an appropriately sized pour, it’ll do just fine. Issues of aesthetics and feel are personal, and should certainly be considered, but they won’t necessarily have a major impact on the experience of drinking the wine. The important point to remember is that all of this pre-sipping routine--choosing the stemware, decanting (or not)--is done in the service of maximizing the enjoyment you get from your wine. Everything else is secondary. With the holidays here, and all the pressure to pop the best corks in your cellar for everyone who stops by to say hello, Matt Kramer has written a fantastic piece on Wine Spectator's web site on which guests you should or shouldn’t open which wines for. I’ll avoid saying whether I agree with him or not (call it political expediency), but it’s well worth a read. As Kramer says: “I care a great deal about who gets served a certain wine. I realize that this makes [me] less than a generous, all-embracing soul. And in my defense, it's got nothing to do with money. Instead, it's got to do with my conviction that there's no sense squandering a great wine—or even a carefully cellared minor jewel—on somebody who could care less about what's put in front of them. Never mind congenial food. The real art of ‘pairing’ lies in the right wines for the right guests. Tough? Absolutely. Justified? Difficult call. Read his argument for yourself, as well as the comments that follow. This week, I’ve ordered the wines as they’d appear in a meal: We start with three sparklers, move on to a lovely Tuscan white and red, head over to the Rhone for a Crozes-Hermitage, continue south to Argentina for a big, juicy red blend, and finish off with a California cabernet that, though drinking very well right now, still has plenty of time left to evolve in the bottle. 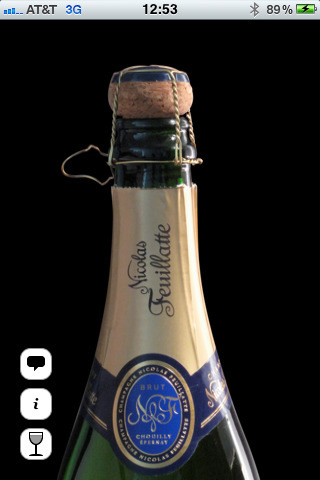 With its appealing light straw color and pinpoint lacing, this has always been a Cava of elegance and excellent value (and, now, a new label). It speaks of bright green apple, citrus, and a hint of nuts, but it’s primarily a fruit-driven bottle. On the finish, a zing of minerality comes through, which, with the mouth-watering acidity and overall crisp character, provides excellent backbone. As always, this is a very good everyday sparkler, refreshing and food-friendly. What a lovely, bright sparkler: Grapefruit, warmed honey, vanilla creme Anglaise, and something a touch waxy mingle to create a nose that’s both unfamiliar and deeply comforting. The palate explodes with sweet citrus fruit both in the grapefruit and Mandarin orange family, as well as a taut minerality, ginger, and well-balanced acidity that lend this sparkler a sense of seriousness. Let this one sit on the counter for 10 minutes after taking it our of the fridge: When the edge of the chill comes off it, a beautiful bass note of brioche pumps through, leading to a finish rich with that Anglaise from the nose. Very, very well made, and a wonderful option both for New Years or, for that matter, any time you want to treat yourself. Very intense nose of concentrated honey suckle, orange blossom, and other warm-weather flowers, with and edging of orange oil. It’s sweet and concentrated on the palate, too, with pronounced notes of spice, honeycomb, and candied apple and nuts that follow through to the finish. This is a nice wine for rich cheeses or to ring in the New Year with. There’s an unexpected floral note to the nose here, and aromatic lift that speaks of peaches and orange blossom, and in that way implicitly references summertime. There’s also a hint of something a touch spicy, which itself adds to the wine’s sense of freshness. This blend of sauvignon blanc, chardonnay, and pinot grigio is very clean on the palate, with well-balanced acidity that keeps the peach and apricot notes fresh. There’s some apple here too, as well as a hint of something a bit honeyed. Hazelnuts and a touch of nougat sing on the finish, which still remains nicely mouth-watering. What a charming wine, and a serious bottle for the money. Drink now with anything, or with nothing at all. Lots of red cherries and ripe fraises de bois on the nose of this fabulously food-friendly Tuscan blend of sangiovese, cabernet sauvignon, and merlot. There’s also a bit of minerality here, as well as cured black Sicilian olives and a hint of dried Mediterranean herbs and chocolate. On the palate, this medium-bodied wine boasts plenty of red and darker berry fruit and ripe cherries, but also touches of coffee grinds and, on the finish, a bit of smoke and leather. Well-made and complex, lovely integrated tannins, and an excellent value. Drink in the next three years. Such a pretty, accurate nose. Black raspberries, blackberries, asphalt, and something a bit funky, like grinding peppercorns in a barn (in a good way!). With some time, a gentler face starts to show itself, the pepper taking on a more perfumed note and the fruit resolving into a riper, sweeter style. On the palate, this is appealingly elegant, with fully integrated tannins, a silky texture, and subtle fruit that indicates that this is a wine at its peak. There are some tea notes on the finish, as well as a lingering hint of earthiness lending it all a sense of richness underpinning its elegance. Really good stuff. A beautiful, glistening opaque purple color with a center verging on black. The implications of that appearance come through on the nose, which is well-lifted by blackberries, black cherries, smoky plums, and hoisin sauce. There’s also something reminiscent of tarragon in there, perhaps a bit of the cabernet’s freshness poking through. 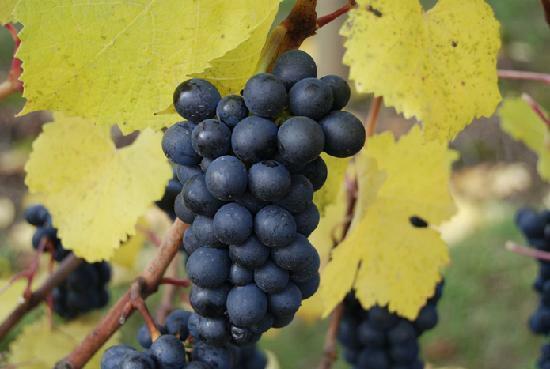 On the palate, the fruit is sweet and ripe, with those cherries taking the lion’s share of attention. Still, this isn’t just a fruit-expressive bottling: Sweet tobacco, black licorice, bonfire, and a touch of birch bark add depth and complexity. Very well-made, and compulsively drinkable. Could go three more years, but there’s no need to wait. The minerality is the first thing you’ll notice here, a terroir-driven nose that indicates a wine that, year after year, is firmly rooted to this particular patch of land. There’s bright currants and spice there too, though it’s still tightly wound, practically coiled to explode with more time in the bottle. The palate here is remarkably similar to the nose, though there’s a bit more lushness to the fruit than you might expect, more cherries as well as tea and oak spice that still needs some time to integrate fully. All of it is buttressed by tannins that, though attractively sweet, still have 7 - 10 more years of life to give this excellent wine whose future in the cellar is very bright indeed. 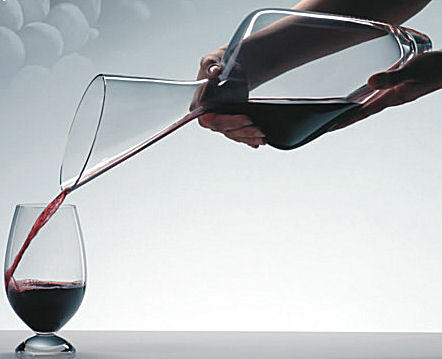 Drink now with food and a good decanting, or hold onto it for even more pleasure. With the holiday gift-buying rush upon us, this is the perfect time to focus on the books that the food, wine, and cocktail lovers in your life would be more than happy to find under their tree, by their menorah...or anywhere else, for that matter. Here are five that I strongly recommend. Unlike most wine books, Vino Argentino doesn’t just focus on the juice. Instead, it serves as a tour guide through the country’s most important wine regions (with sections on their history, major players, wines, and more) and also provides an excellent sense of cultural and historical context. There are forays into the occasional technical issue, but it’s always entertaining and charmingly presented, and it’s always at the service of Catena’s larger goals: To educate consumers about her beloved country, and to share her enthusiasm for its people, its culture, its food (there are a number of fabulous recipes in the book), and, of course, its magnificent, world-class wine. She succeeds with gusto. Bringing together one of America’s most respected sommeliers and one of the field’s most accomplished wine writers, and Secrets of the Sommeliers delivers exactly what you’d expect from a team like this: Serious information--much of it informed with the kind of “insider” knowledge that these two have accrued over the years--conveyed in a way that’s both casual and compulsively readable. The varietal guide to blind tasting is particularly useful to budding professionals and the most passionate consumers, and a rundown of the best importers to become familiar with provides a fantastically helpful guide to consumers who find themselves confused and overwhelmed when picking through the wine-store shelves. Advice on topics as diverse as food and wine pairing, wine travel, service, and making the most of auctions are very well-researched and laid out, but it’s Parr’s and Mackay’s willingness to speak truth to power, as it were, that really sets this book apart: Referring to Krug’s Clos d’Ambonnay, for example, as having “the ignominious distinction of...[being] the world’s most overpriced Champagne” is gusty and bracingly refreshing. In other words, exactly what the wine world could use more of. Suddenly, somewhere along the way, cocktails became a serious business again. Maybe it’s the pendulum’s natural swing back from the ridiculousness of Carrie Bradshaw’s sugary-sweet cosmos and every crime-against-nature apple-caramel martini that we’ve ever been subjected to. Whatever the cause, serious drinks are the stuff of grown-ups once again. Finally. Which is where Speakeasy begins, and the place from which it takes off. The recipes are excellent (after testing a number of them, I’ve become an unrepentant addict of their Secret Crush, a riff on the Champagne cocktail that calls for Llopart Cava brut rosé and Campari, and results in a compulsively drinkable treat any time of day); the advice to use real ingredients as opposed to resorting to mass-produced ones of questionable quality is well-argued (their recipe for a lime cordial, key to a good gimlet, is brilliant); and the style--well-informed, considerate, and thoroughly engaging--is just what you’d want from two of the country’s leading beverage personalities. Few cuisines intimidate home cooks quite like the ones listed above. Mention to even the most accomplished dinner-party host or hostess that you’d like to learn to prepare the emblematic dishes of South Asia, and you’re more often than not met with an uncomprehending stare that mixes fear and incredulity. Its reputation --not necessarily true, by the way--for being endlessly difficult to prepare at home, especially for unseasoned cooks, has frightened generations of people who otherwise love the food. Madhur Jaffrey, however, not only takes the fear out of cooking the food of India, Pakistan, Bangladesh, and Sri Lanka, but her recipes are both approachable and utterly delicious. Start with something simple--say, roasted cashews spiced with cumin and cayenne. This is exactly the sort of deceptively simple, high-impact item to whip up for cocktail hour with friends, and perfumes the house with a scent both exotic and unarguably comforting. Move on to a Sri Lankan fish curry, which sounds daunting until you see Jaffrey’s recipe: Easy to prepare, time-effective, and, like so much else in this excellent cook book, impressive. For passionate home cooks and, frankly, anyone who loves to eat, this book is a necessary addition to the kitchen. As a native Philadelphian, I take a special kind of pride whenever the name Steve Poses comes up in conversation: He has done as much as anyone to put Philadelphia on the nation’s food map, and his Frog/Commissary Cookbook, written with Anne Clark and Becky Roller, informed so many of my own mother’s dishes growing up that, over the years, I mush have eaten every recipe in it. Now, with At Home, Poses turns his attention to one of the biggest dilemmas of all: How to make the most of entertaining, well, at home. This is not an easy task: Many of us, when pressed, are happy to bake a few boxes of frozen hors d’oeuvres, cook up the same tired dishes we always do, and hope that our guests drink enough in the beginning to miss the obviously repetitive nature of the get-together. The recipes in this book are, as always with Poses, easy to prepare and pack a serious flavor punch. Shrimp poached in coconut milk with pumpkin and cilantro pesto is exotic, decadent, and tastes like it took far longer to create than it does. Savory ricotta cheesecake flips expectations on their head and serves as an excellent, whimsical first course. But more than that, At Home provides the kind of advice and guidance that could only have come from a professional with Poses’ experience: Advice for rolling and tying napkins, microwave do’s and don’ts, a running commentary on how to successfully entertain at home, and more. It’s all here and then some, all presented in the charming, conversational voice that’s inimitably Poses’. This shows a surprisingly high-toned nose, with super-ripe and roasted green bell peppers, a passing whiff of wild mint and licorice, and lots of currants. Its youth is apparent on the palate, where it’s still tightly wound and not showing all that it ultimately will. For now, there’s coffee grounds, as well as a creaminess that carries within it intimations of tiny wild strawberries, raspberries, brambly fruit, and wild herbs, with a hint of fennel on the finish. There’s lots of potential here; let it evolve for another 2 or 3 years, and then enjoy it for 4 - 6 after that, when it should really come into its own. The acid and tannins will allow it to age well. Subtle, with great structure. The nose here explodes with a deep, ripe bowlful of summertime berries: Blackberries, black raspberries, and wonderfully evocative strawberries. There’s some peppercorn spice too, but this wine’s story centers on its density of fruit. All that fruit, in fact, follows through to the palate, where it manifests itself with a sweetness, as well as a hint of cherries reduced with a splash of balsamic, that’s addictive. Lush mouthfeel, with subtly dusty tannins that serve as excellent and successful foils to the glycerin-like slipperiness. This is a wine that manages to be both fun and serious at the same time. Drink now, with barbecue or a burger. There’s an earthy, almost mushroom-referencing note to the nose here: Unusual, unexpected, and intriguing. With air, this refines itself into fruit in the clementine family, and there’s an almost fresh-herb-and-spun-sugar perfume to it that makes the aroma a lovely analog for summertime, no matter when you’re drinking this. The palate is much more acidic and tightly wound than the nose implies: This is a sauvignon blanc for the cellar. Flavors of slate, lemon, and something lanolin-like linger on the finish, and promise a wine of both serious potential and intense food-pairability. Loire-like in profile; tasted blind, I’d think Sancerre more than Napa. Excellent. 4 - 6 years. Lots of juicy plum and berry aromas jump from the glass here, an almost light-bodied, relatively high-toned mixed-berry composition kicked up with shiso, if such a thing exists. The palate is still tight and not showing much fruit right now beyond a subtle hint of cherry, though in time more cherry, tea, colorado-wrapper cigar, as well as more tarragon and shiso flavors, should express themselves nicely. Restrained style, and a nod in the direction of Napa’s potential for subtler reds. 3 - 7 years. The nose here is defined by its soft peach and orange blossom notes, a summery combination that implies sweetness but doesn’t force the issue. On the palate, those peaches are joined by tart apples, a touch of grapefruit and minerals, and a hint of the kind of petrol note that defines accurate Rieslings all over the place. Pleasant, straightforward, and a nice accompaniment to spicy dishes. Drink now. There’s nice lift to the spicy cherry and kirsch of this wine’s nose, an expressiveness that people who haven’t tasted Clos du Bois lately might not expect. Those cherries follow through to the palate, where they’re joined by mushrooms and a smoky mesquite finish that adds depth and a nice grounding to the fruit. Drinking well right now. Wine on the web just got a bit better with the relaunch of the Austrian Wine Marketing Board’s website, AustrianWine.com, a few weeks ago. 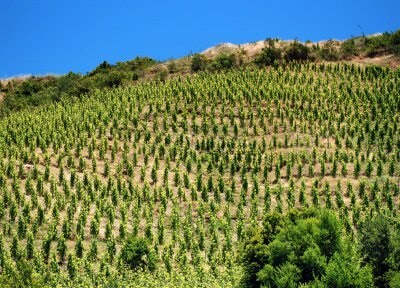 As readers of this blog know, I’m a big believer in the wines of Austria--from the expressive, pairable-with-everything whites like Gruner Veltliner to the spicier, endlessly rewarding reds like St. Laurent, Zweigelt, and Blaufrankisch, the wines of Austria are some of the most exciting in Europe right now. Now, with this relaunched web site, consumers will have a chance to learn even more about Austria’s wines and stay up to date on recent developments. With everything that’s happening with Austrian wine these days, this is definitely a site worth adding to your favorites folder and checking regularly. Like music and fashion and food, wine is subject to fads and trends that even its most passionate and devoted consumers easily fall victim to. The soft, Milli Vanilli pop of the early 1990s caused a backlash that led to grunge, which itself eventually opened the door to the swing music that was piped into martini and cigar bars all over the country. It’s the circle of life, or something like that. It’s the same with wine: As soon as a particular style becomes too popular, too widely accessible or venerated or otherwise obsessed over by either the masses of middle-of-the-road consumers or elite collectors, it eventually, perhaps inevitably, experiences a backlash of some sort. Jay McInerney’s column in this weekend’s Wall Street Journal deals with this phenomenon as it applies to Bordeaux, one of the great wine regions of the world that has, in recent years, experienced a bit of a PR problem as a result of both its reputation for being a bit on the staid side (I disagree strongly with this) and, at the highest levels, exorbitantly priced (on this point I have to agree). McInerney goes on to catalogue a number of tastings he’s recently experienced that give him hope for the region, from the seemingly timeless beauty of older vintages to the up-and-coming producers from lesser-known parts of the region that are igniting a whole new generation’s sense of excitement about Bordeaux. What interests me most about McInerney’s column is the fact that, finally, it perhaps implies a change in direction of the pendulum’s swing, and hopefully represents a new era of Bordeaux appreciation. Because despite the crazy prices commanded by so many of the top chateaux at auction, these are wines that have earned their reputation for greatness. 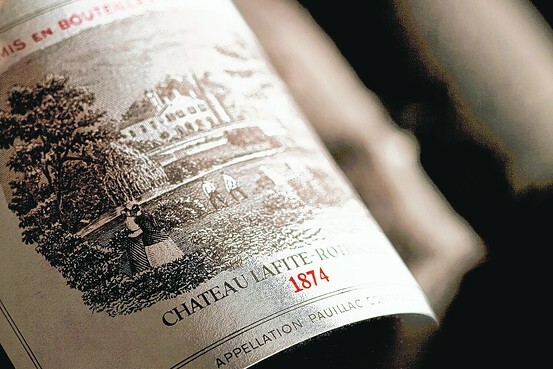 With a bit of focus on other parts of the region, and producers that bottle wines at prices mere mortals can afford and justify, perhaps Bordeaux will experience the resurgence among all wine lovers that it so richly deserves. There’s a nice grapefruity nose here, with hints of warm hay and tarragon. The palate, however, is where things really get interesting: Unexpected concentration fans out to a bright, kumquat- and white grapefruit-flavored wine, with flashes of minerality providing complexity at the edges and a hint of something with an almost fresh-mint aromatic component lingering on the finish. Well-made, and a very good wine for the price. The nose here is absolutely intriguing: It starts off at the intersection of cream and clay, with licorice and coffee and beef carpaccio livening it up throughout. On the palate, it shows amazingly well-defined red and black cherry, spice box, cedar, graphite, and wildflowers, the last of which follow through to a finish as elegant and pretty as the palate is complex and rich. Exquisite balance, dusty tannins that still show plenty of life, and the promise of another 10+ years of evolution. Even better on day two. Built for the long-haul. Cabernet Sauvignon, Merlot, Malbec. As soon as you pour this wine into the glass, you’re given an inkling of just how exciting and accomplished California Merlot can be, naysayers notwithstanding. It’s all rich cafe mocha, nutmeg, warm cream, and cherries, with an edge of minerals and sage providing lift. Sweet cherry, birch bark, a touch of balsamic, sun-warmed fraises de bois, and dusty cinnamon sing through, swirling around the palate and given ballast by the utterly elegant tannic structure and perfectly balanced acid. This is one of those wines that, no matter how long I’d like to hold onto it (5 - 7 years), I probably couldn’t keep from raiding the cellar and popping the cork the next chance I have. Stunning.